IS: 7-1/2 x 7-1/2 ins. PS: 11 x 11 ins. This print has 'Sweet Dreams' on the envelope. 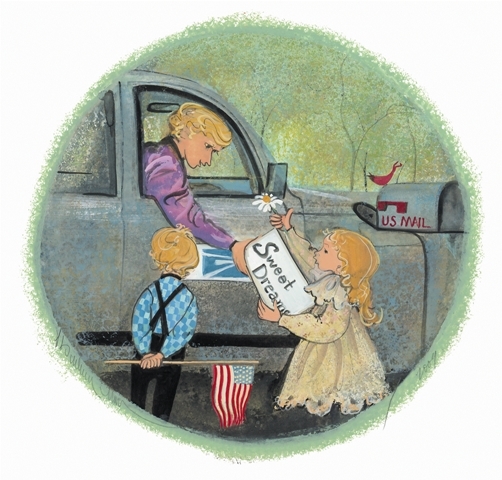 A small giclee featuring the Sweet Dreams postmark is available with the purchase of this print for $10. If you would like this giclee, please check the box on the right. The giclee measures 2-15/16 x 3 ins. A portion of the proceeds from this print go to the Sweet Dreams Foundation in Stuarts Draft, Virginia.